Between 20-50 million people are hurt every year in a car accident. The sad reality is that many of these accidents could have been prevented with proper vehicle maintenance. However, as the average annual cost of owning a car is over $8,000, many people just don’t feel they can afford car maintenance. But proper care can prevent costly repairs — and accidents. It’s also possible to do it on a budget. 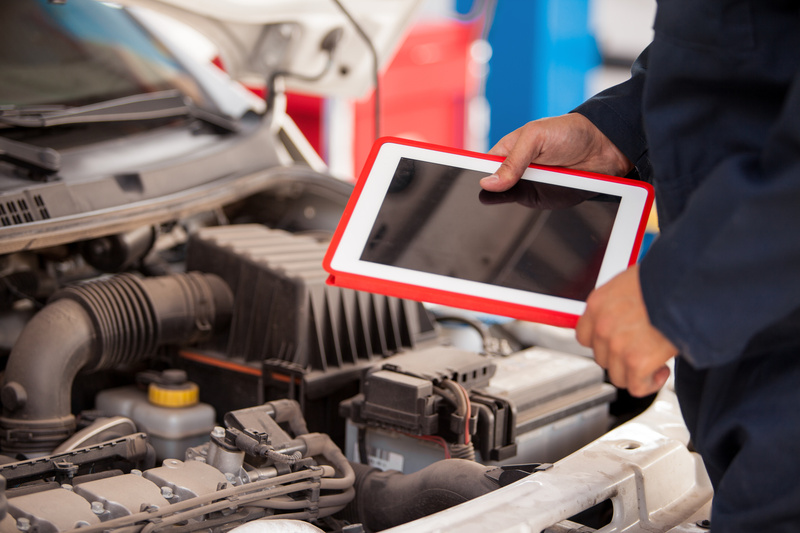 This vehicle maintenance checklist will show you how. If you only notice your tires when there’s a serious problem, you’re going to run into trouble. If your tires don’t have the proper amount of air in them, you’ll end up putting more pressure on your brakes. Over time, this will make it harder to stop — meaning you’re likely to get into an accident or completely destroy your braking system. Additionally, frequently rotate your tires so they can last longer. If you’ve got some baking soda and a toothbrush, you can clean your car’s battery. Especially in the summer months, when temperatures burn up the mechanisms inside your battery, keeping it clean is essential. Using a glass full of water and a teaspoon or so of baking soda, gently scrub the terminals of the battery. The truth is that many people are actually over-oiling their vehicles, which is a huge waste of money. Sure, the standard used to be to get your oil changed about once every 3,000 miles. But with today’s cars, that’s not necessarily required. To make sure you know when you should really change your oil by reviewing your owner’s manual. Your car will often send you a signal when something is wrong — don’t ignore it. If your car starts squeaking or making grinding noises, get it checked out. It’s likely that the belt of your engine has gotten worn down. This can wreck havoc on your engine. Even worse, it can mean that your car shuts down while you’re driving it. Fortunately, it’s not expensive to replace the belt of your engine. Making sure your car is properly lubricated can save you lots of money down the line. For example, if your engine oil is low, you could have a serious leak on your hands. If you catch it early, you’ll save thousands of dollars. Doing this ensures that your engine won’t suffer from a build-up of oils and chemicals. Finally, be sure to always keep an eye on the level of coolant in your car. If it gets too low, you’ve likely got a leak in your radiator. This can quickly cause your engine to overheat — and you don’t need the expense of buying a new engine. Use this vehicle maintenance checklist to save money! Thanks to this vehicle maintenance checklist, you know the preventative steps you can take to keep the costs of owning a car way down.